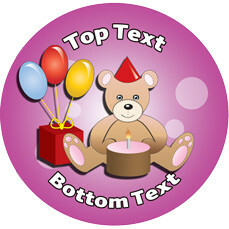 Customise this cute teddy bear design birthday sticker with your personal message. Fantastic for teachers as a quick happy birthday gift in the classroom. Kids will love the fun design, be amazed that they're personalised by you and will wear them with pride both at school and at home!